This past weekend Nick and I took a last minute trip to my mom's house in Lancaster. Unfortunately the trip was under sad circumstances, as I had to go home to say goodbye to my cat, Emily, who hasn't been doing too well in her old age. I got her when I was four years old, so we grew up together and she's really my best gal. She's almost 20 years old, which we calculated as being 97 in cat years (!!!) so she's definitely lived a good, long kitty life. On a happier note, it was so nice to visit with my mom and get to spend time with her, as we haven't seen her in almost two months. 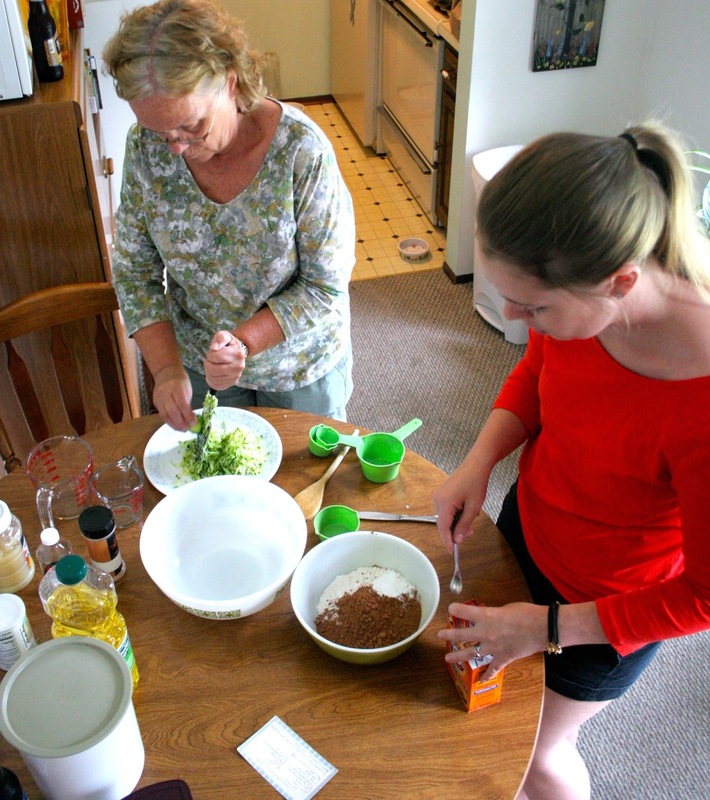 We got the chance to cook and bake together, which we don't get to do very often. I think I've mentioned before that my mom is the queen of desserts, and this weekend we made one of my favorites that she's been making since I was just a kiddo... Chocolate Zucchini Cupcakes! Everyone's heard of zucchini bread, but if you haven't had chocolate zucchini cake, you're in for a treat! We adjusted my mom's original recipe to be vegan-friendly, but feel free to make these using the original ingredients in the parentheses below. 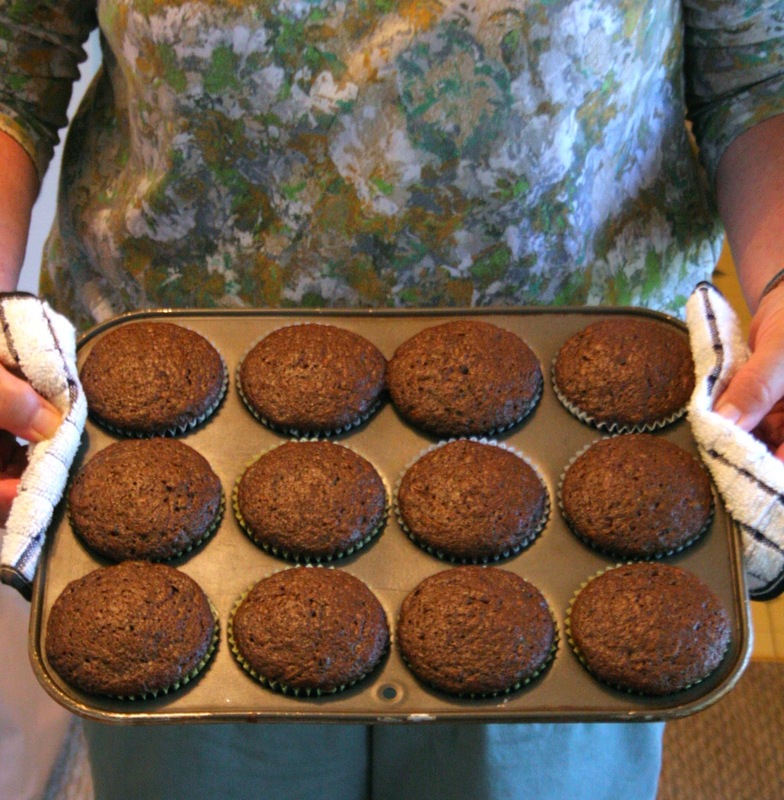 - Preheat oven to 350 degrees and line cupcake pans with paper liners, or grease cake pan. - Combine flour, cocoa, baking powder, baking soda, salt, and cinnamon in a large bowl. Set aside. - In another large bowl, beat together oil, sugar, applesauce, and vanilla with hand mixer. 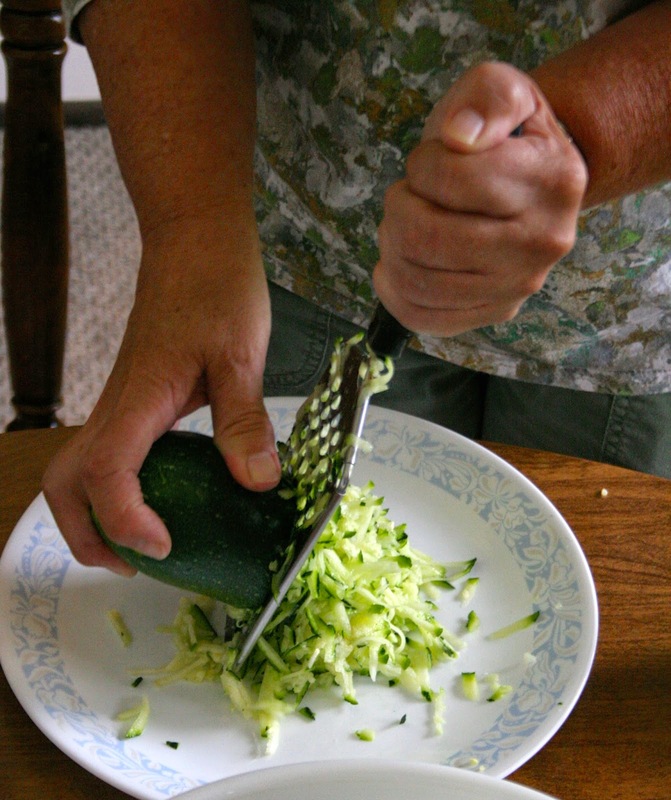 Stir in shredded zucchini. - Alternately stir in dry ingredients and milk. Once fully combined, pour into cupcake pan, filling cups about 3/4 full. - Bake 15-20 minutes and let cool in pan 15 minutes. Once cooled, sprinkle with a little powdered sugar and enjoy! These cupcakes are super moist, fudgy, and of course, DELICIOUS. 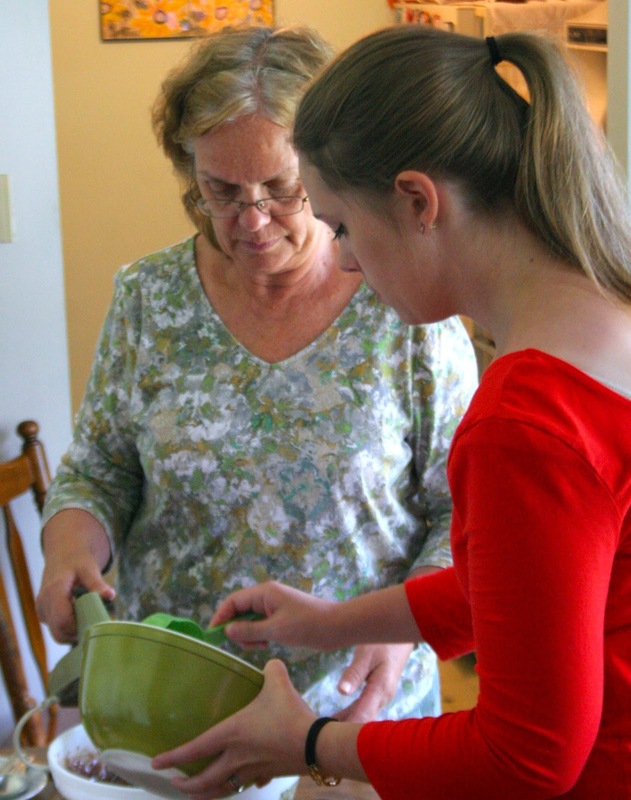 When zucchini is in season, I can always count on my mom making this, but now I'm glad that I can make it myself too! Make sure you give this a try, you won't be disappointed! Or if you prefer your zucchini in dinner form, you could always make our Chipotle Black Bean Casserole. Or if you know what's good for you, make both!